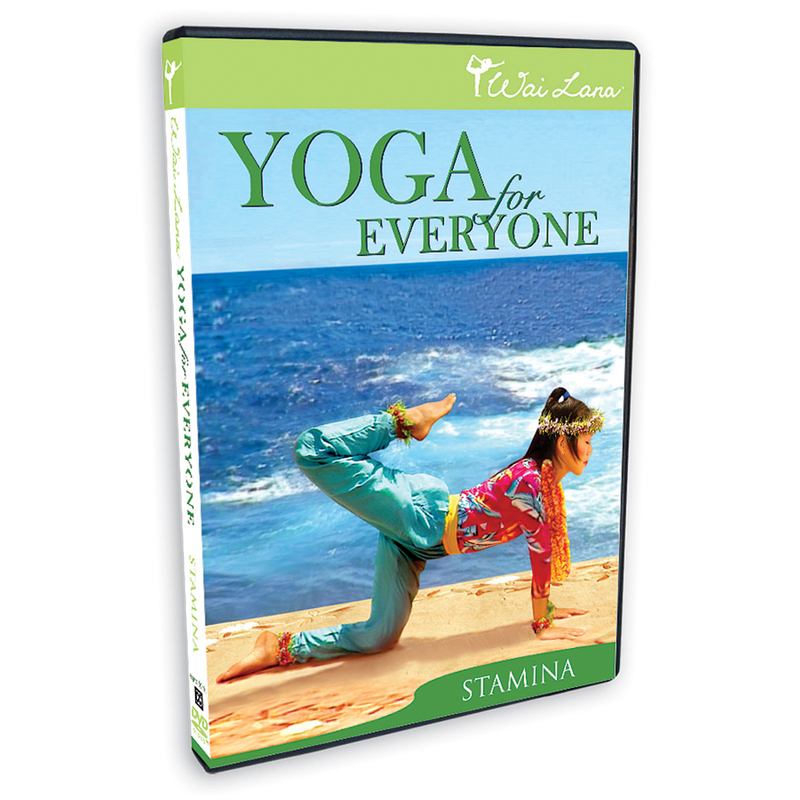 Yoga for Everyone DVD Series by Wai Lana is a 3 DVD series focusing on Flexibility, Strengthening and Stamina. Each individual DVD pack comes with a full color booklet packed carefully in a sturdy plastic case. The booklet contains the explanation of the poses under each category along with images and key benefits. Yoga icon Wai Lana always recommends to do the preparatory poses before starting the main workout. So we will have a quick look at the preparatory poses and then we straight move on to workouts. Checking out the flexibility booklet, i found in the initial pages featured Wai Lana’s collection of preparatory poses and the names of the poses were quite interesting- they are sacrum massage, biking pose, head roll, cat stretch, shoulder rolls, blowing tree, wraparound twist pose. I felt so easy to remember the steps in each pose and names given to it. After practicing all the preparatory poses, you can simply move on to the flexibility exercises – Some of the yoga poses that comes under the flexibility series are toe and ankle exercises, half lotus exercises, lying butterfly, inner leg stretch, cross wrist stretch, spinal twist, equestrian pose, waterfall, double angle pose and many more. I felt very comfortable to start with the poses in the flexibility series as a beginner to Yoga. 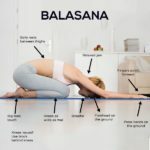 My body was very stiff, but I tried to practice these poses in a very relaxed way as per Wai Lana’s instructions and gradually I started to feel more flexible. Practice of these poses simply loosens and tones all my body parts and I feel refreshed overall. I had a very bad posture at work and that caused many problems like: Neck tension, Back pain, stiff joints etc. Now I could feel that, regularly practicing these poses improved my posture and gave relief from different kind of physical pain i was having before. It is very easy to understand and practice the poses as Wai Lana explains it very slowly in a clear and sweet voice. I would suggest anyone having the problems like: sciatica, blood pressure, digestion problems etc. can get relief by practicing the poses in this flexibility series. After practicing the poses in the flexibility series, it became easy for me to start with the strength building poses. Initially it was bit difficult to balance with these poses but gradually with practice it increased balance and strength in the body. I feel very refreshed doing these poses as this helps massaging different body parts and increases blood circulation.I didn’t know that yoga pose can help calming the mind, but there are few poses in this series which really helps to relieve stress, anger and anxiety. Wai Lana’s yoga poses not only helps me in building the stamina but helps in being alert, aware and to think more clearly. Practicing these poses, I could realize how proper breathing helps in energizing the body. I was having a severe body Pain, hand tremor with sciatica and different health issues mainly due to the toxins in my body and Bad Posture. With the practice of different poses in the Stamina Series I am getting relieved from the pains gradually and feeling better now. You can checkout Wai Lana’s Strengthening DVD here. The yoga poses which come under the stamina series are exhilarating breath, right angle pose, arm strengthening squat, easy crane, cobbler, buttocks balancing, kneeling leg lifts, dolphin, warrior, garudasana, reaching bulldog, open arrow, cobra stretch, easy boat, side rolls, shoulder squeeze, agnisar kriya. See below videos exclusive to Wai Lana’s collection pertaining to stamina workout. Practicing the Exhilarating Breath Pose I could feel the toxins are coming out slowly with an extra benefit of toning my Abdomen. Many poses in this series helps me relieve Back pain, to have a strong back and a good posture allowing me to spend a happy day. 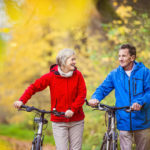 You can also checkout a comprehensive play-list of free videos by Wai Lana to solve back problems named – “30 Days to a Healthy Back Series” This is for free and is very effective for all kinds of back problems. Hope you like it! Some yoga poses from this Stamina Series helped me in stretching and strengthening (increasing the stamina) different body parts helping to get balance and concentration. Some poses also helped me to get much needed relief from different pains in my body. For example doing the cobbler pose I could feel relief from the Sciatica pain. The way she explains the samadhi pose is totally different from all other methods of samadhi I knew till now. I feel very light and peaceful doing it as this releases all the tension from different body parts and the entire body rests peacefully. When I heard the yoga sound from Wai Lana’s lips, I could realize the great beauty of this sound coupled with the scenic beauty of the videos. The yoga sound is very relaxing and makes the mind restful and focused. It simply releases all the tension and anxiety. Wai Lana’s smiling face and expression, and dance with her makes my day. 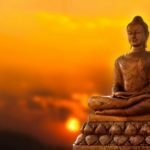 Millions of people worldwide have experienced the wonderful benefits from this Yoga for Everyone Series and other Yoga Videos by Wai Lana, if you are interested to learn more about Wai Lana Yoga then check out the full collection of all Yoga DVDs by Wai Lana. You can also watch Wai Lana Yoga Series on PBS, these programs are viewed by millions and also highly appreciated by Elayne Blythe, Film advisory board president. 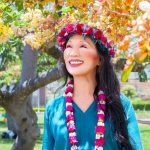 Wai Lana is not only a beautiful and charming yoga teacher, she is a mother of three, grandmother of six, song writer, author, and genuine advocate for helping people from all walks of life attain inner peace and well-being. Wai Lana has produced several yoga products for people of all levels, published books, designed kids’ yoga products, recorded music albums, released a meditation kit, developed a complete line of yoga gear & has her own line of all-natural snacks. She has been honored with prestigious padma shri award for her incomparable contribution to yoga globally. Recently she encouraged millions of people worldwide on the occasion of international yoga day with musical video releases namely Namaste in 2015 and Alive forever in 2016.